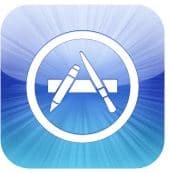 According to 9to5mac sources who claims to be familiar with Apple’s upcoming iOS 6, Apple will have a completely new redesign for its three digital stores, App Store, iTunes Store, and iBookstore. Sources says the digital stores redesign is major and will improve interactivity when purchasing and downloading from iTunes, App Store, or the iBookstore. it’s also said that iTunes Store will have Facebook integration.